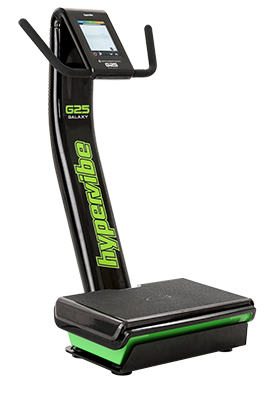 See how Hypervibe compares to other Whole Body Vibration Machines! 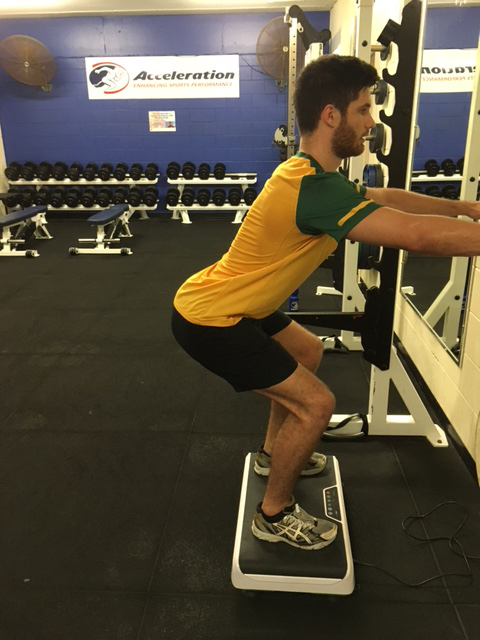 If Standing Still For 1-Minute On A Special Machine Could Boost Your Growth Hormone Level By 360% Without Causing Fatigue1 -How Often Would You Do It? Read on to learn the amazingly simple procedure developed in Italy, how to get one of these special machines and how to do this in your own home. It’s true, the body is a stubborn thing! Making it faster, stronger or nicer to look at seems to require huge amounts of time and effort to get small results that take a long time and often end in injury. What fitness junkie wouldn’t love an advantage that sped up the process of improving strength and performance, hastened recovery and prevented injury? Nope – we’re not talking about drugs.. If you feel dissatisfied with your current progress, are being slowed down by injuries or find there simply isn’t enough time to get in the training you need – you better keep reading. 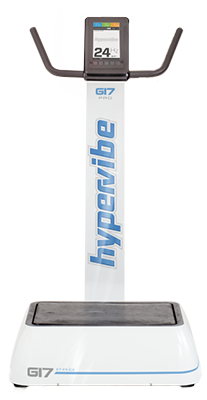 As a competitive figure contestant (bodybuilder) I am completely sold on Hypervibe. It has enhanced my workouts and improved my muscle definition. I use it for a lot of my strength training. In 1999 the late Professor Carmelo Bosco tested the hormonal responses to a vibration training technique he had developed to maximise muscle stimulation while minimising fatigue1. The key to how this was possible is the11G of G-force produced by the vibration machine which is a measure of intensity. As you will learn not all vibration machines are capable of producing this much G-force. In fact, independent engineering tests reveal that the industry average is only 4G. According to research,8 exercise causes increases in Growth Hormone only when the exercise intensity exceeds a certain threshold. In a similar experiment,9 when the intensity of vibration was reduced to 1G, no change in Growth Hormone, Testosterone or Cortisol occurred even when the duration of exercise was doubled. There are over a hundred vibration machines to choose from with prices that range from $200 to $20,000 – and – they all claim to offer the same benefits. On the other hand there are literally hundreds of “it did work” research papers and the common theme is: the vibration used was high intensity. If you think about it, you already know the same is true about regular exercise in a gym. There are people who waste hours and hours working out with tiny weights and pointless exercises that require no effort – and – provide no visible benefits. While it takes high intensity to get big results with little time, it doesn’t have to take big effort; a Hypervibe machine has the power to provide the effort for you. 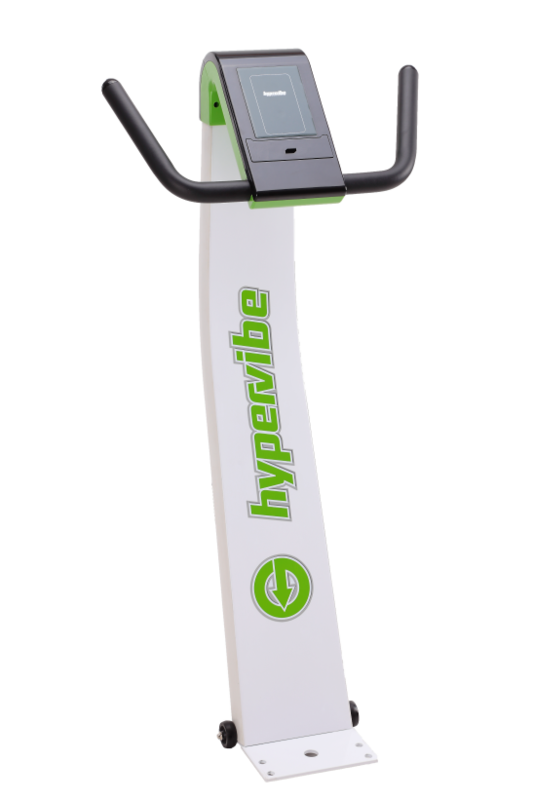 In fact, independent tests show that Hypervibe provides 4 times more stimulation than the industry average and is the world’s most affordably priced high-performance vibration machine. 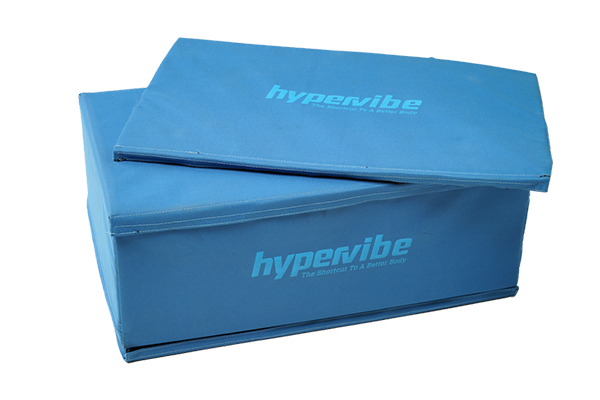 Hypervibe will save you time and money. 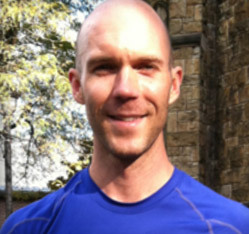 Q: I have a recent injury that is still painful, could I still use the machine? A. Unless your injury is a broken bone, in many cases you can still perform Vibration exercise. It allows you to stimulate muscles, circulation and lymphatic drainage without moving your joints excessively ie. remain in a comfortable position while the machine works on your body. Q: Once I have it, how will I know how to use it with patients? A. 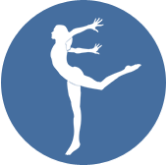 We provide you with access to our support site including video examples and demonstrations of the therapeutic applications. We also have a network of professionals like yourself that are already experienced with Whole Body Vibration that could provide additional support. Q: I intend to use the machine in my clinic - is there a chance it will break? A. The machine comes with a 1-year on-site warranty for light commercial use and will handle a 180kg (397lb) person using the machine at full power 2 or 3 times a week. Additionally we have a service centre in your country if parts are needed. Q: What if I want the machine but can't afford it right now? A. 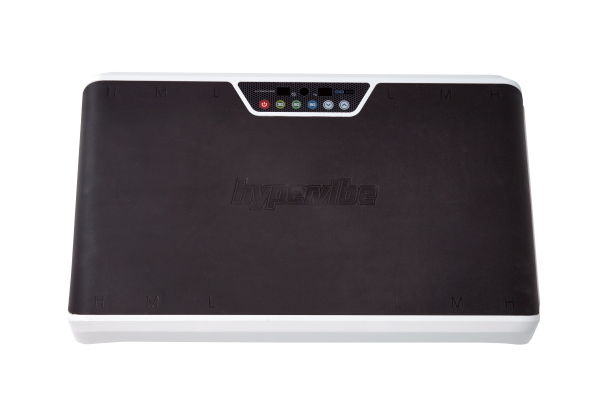 Depending on which Hypervibe dealer you buy from you may qualify for interest-free finance meaning you get the machine delivered to you right away then have many months in which to pay off the value of the machine and any fees that the finance company may charge. If you have any other questions or need some help placing your order, our friendly support staff are waiting to help you today. Click here to be taken to our order page. This is something you don't want to put off, the benefits are too great and the effort required is so little. Take advantage of this technology and let it work for you. If that sounds like you then click here now. Cochrane DJ. Acute whole body vibration training increases vertical jump and flexibility performance in elite female field hockey players. Br J Sports Med. 2005 Nov;39(11):860-5. Paradisis G. Effects of Whole-body Vibration Training on Sprint Running Kinematics and Explosive Strength Performance. J Sports Sci Med. 2007 Mar; 6(1): 44–49. Pérez-Turpin JA. Effects of whole body vibration on strength and jumping performance in volleyball and beach volleyball players. Biol Sport. 2014 Aug;31(3):239-45. Stokes K. Growth hormone responses to sub-maximal and sprint exercise. Growth Horm IGF Res. 2003 Oct;13(5):225-38"
Sealy R. Acute Exercise In Vietnam Veterans Is Associated With Positive Subjective Experiences. Int J Exerc Sci 3(1): 36-42, 2010.
van den Tillaar R. Will whole-body vibration training help increase the range of motion of the hamstrings? J Strength Cond Res. 2006 Feb;20(1):192-6. Rohlmann A. In vivo measurements of the effect of whole body vibration on spinal loads. Eur Spine J. 2014 Mar;23(3):666-72. R, 'Effects of Exercise Interventions on Physical Condition and Health of Vietnam Veterans.' International Journal of Therapy and Rehabilitation, August 2011, Vol 18, No. 8.